Order up a drink, chat with the Parisian artist sitting next to you and watch as the bartenders break out ingredients that sound like they are being thrown into a medieval cauldron for a witch's concoction. The city of Paris is a lot like the most popular person in school: you want to hate them but you can't because you know deep down they really are cooler than you. They're better dressed and have more artistic sensibility. They're connoisseurs of finely crafted cocktails and world class wines. They're always ahead on the latest trends and you fantasize about what it would be like to just spend some time with them. But when you do get a chance to see the most popular city in the world, don't be intimidated. 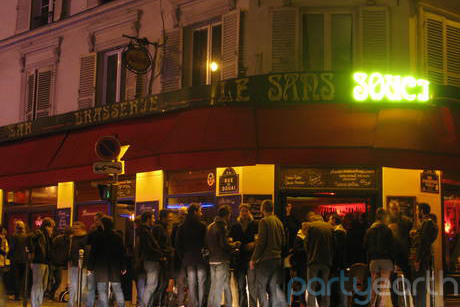 Simply check out these five bars in Paris and you'll find yourself on the inside of the coolest spots in the city. This ornate one-room speakeasy is more than just another Parisian bar. Located in the buzzing Montorgueil district, the expert mixologists at Experimental Cocktail Club prepare your drinks with as much attention to detail as a master Chef de Cuisine preparing a coq au vin delicacy. The intimate one stone room with its dazzling neon chandelier and black wood floors holds less than 50 heads and creates an easygoing atmosphere. The patrons socialize with friends and strangers alike as if attending a cocktail party rather than a local watering hole. Order up a drink, chat with the Parisian artist sitting next to you and watch as the bartenders break out ingredients that sound like they are being thrown into a medieval cauldron for a witch's concoction. 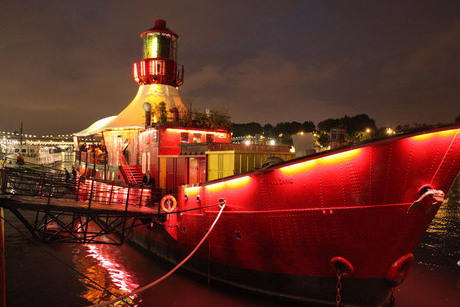 You might be wondering what could possibly be worth the trek to an isolated harbor along the River Seine, but that is until you get to Batofar, a large docked boat whose interior has been remodeled into a bar/nightclub. The venue is known to bring in internationally renowned bands and DJs for the late night dance scene and is ideal for those looking for a bit more excitement. It is a boat, however, so the quarters get cramped quickly when the music starts. There are also various bars and lounges below deck that offer refuge from the main dance floor. After some sweaty dancing alongside the rest of the young crowd, head above deck to escape the heat, catch a breath of fresh air, and impress your new friends (well, mainly embarrass yourself) with your best T-Pain rendition of I'm on a Boat. If it sounds familiar, it's because this trendy mixology joint in Saint Germain was spawned from the same owners behind the Experimental Cocktail Club. 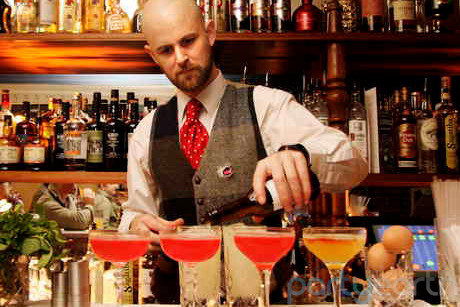 Prescription Cocktail Club is a more spacious joint than its cousin, but puts equal care into each and every handcrafted cocktail served. The chic décor is nailed down to the finest detail, from wood-lined sofas to the Victorian paintings to the centered grand staircase. A bar hidden behind a bookcase of leather-bound books adds to the speakeasy vibe of decadence meets elegance. Those wanting the best seats in the house can order bottle service to one of the reserved couches and well-placed tables. For those who enjoy the finer things in life, Le Baron is a glamorous and exclusive bar & nightclub with a reputation for attracting celebrities and fashionistas late into the night. 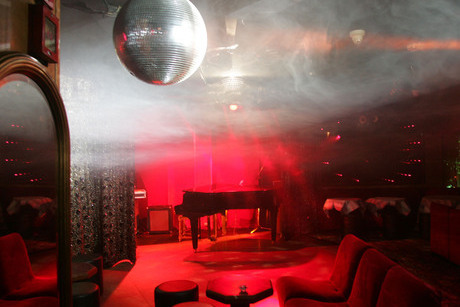 A lounge and dance area of dark tones and red velvet is separated by two-way mirrors to the venues only other room - a small hangout with a bar and an exhibit of fashionable photography. Its limited space and distinguished standing keeps the door-policy ultra tight, so you can rest assured that you'll be spending your night mingling with the in-crowd.